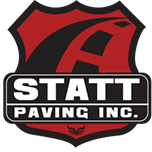 Driveway Drainage Service - Statt Paving Inc.
Do you have problems with water in on or around your driveway? We can find a solution that will fit your needs. We specialize in this field and will find a solution unique to your concerns. We use a laser level and string lines to measure the pitch on your driveway or parking lot, and design a solution to direct all the water off the lot leaving no water in the garage or puddles on the surface. Our team is very experienced and knowledgeable with drainage. If necessary, we will install a french drain or catch basins to ensure water is removed from problem areas. This solution will keep the water off the surface and also keep the water away from the sub base so it will not compromise the integrity of the material and lead to damaged areas in the future.